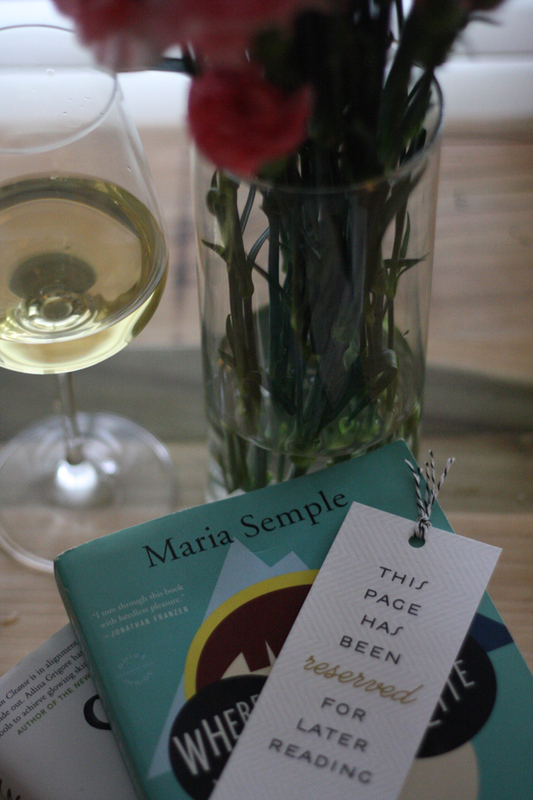 Last week, I hosted monthly book club at our house. Our book club was instated long before book clubs were cool (I think 2008 was our first meeting! ), and over the years, we've inducted members, lost members, had members complete graduate school and live in China. Needless to say, my book club is pretty awesome. I've hosted book club at our house a few times, but this time I was extra excited because we read Where'd You Go, Bernadette? Where'd You Go, Bernadette? created quite the cult following a few years ago, but hardly anyone in our club had read it yet. 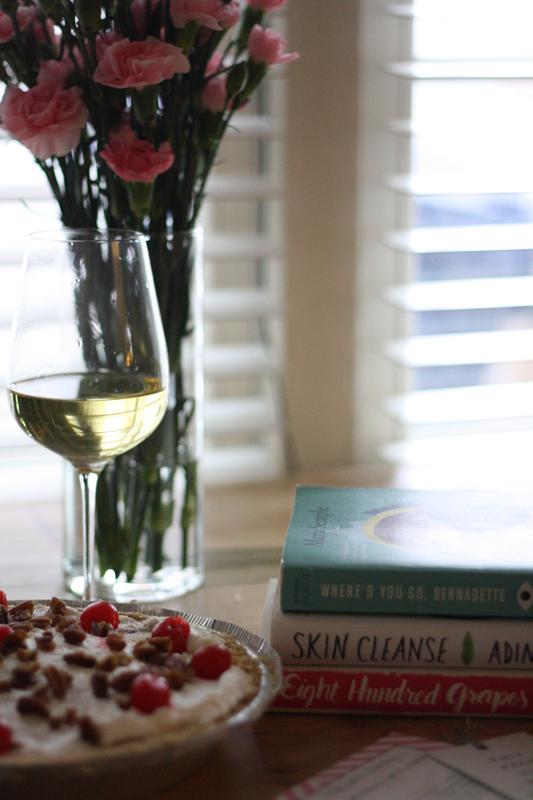 The makings of a perfect book club discussion. Being the hostess, I wanted to provide a great book for discussion, but also a fabulous meal for my friends. I ended up serving my twist on this pasta along with two scrumptious salads, and finished the night with banana split cake for dessert. Banana split cake is something my mother in law and husband introduced me to a few years ago, and since the dog in the book is named "Ice Cream," I thought it would be the perfect fit. This recipe calls for creating your own graham cracker crust, but you can definitely use store bought (like I did) in a pinch. 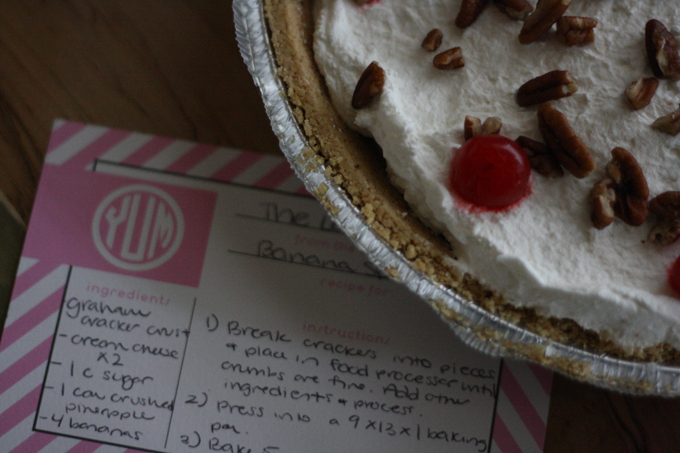 Since this is a family recipe, I won't be sharing all of the details here, but you can make your own graham cracker crust by following the steps in the Matrick & Eve recipe card seen in the photos. And if you're really curious about making your own banana split cake, here's a recipe that's pretty close to the family recipe I have. Let me know if you try it and like it! 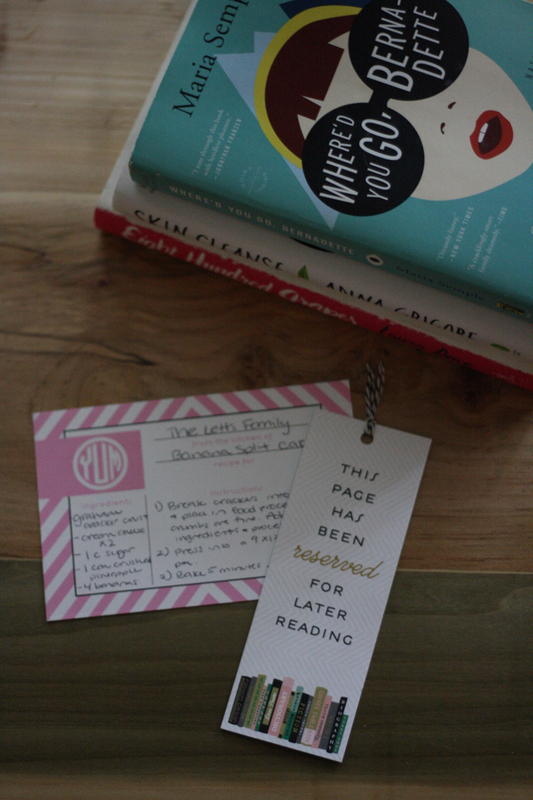 Thanks so much to Matrick and Eve for gifting me the recipe card & book mark seen here. Although this post has a sponsored element to it, all thoughts and opinions are my own.